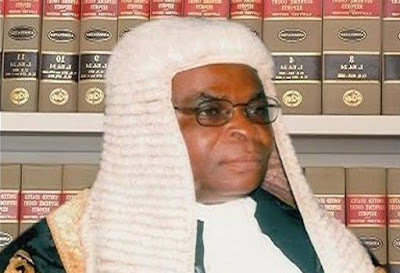 Twenty (20) Senior Advocates of Nigeria (SANs) who are not on the same page with their colleagues rooting for the suspended Chief Justice of Nigeria, Justice Walter Onnoghen, yesterday deplored what they termed the rot in the judiciary. They accused some SANs of procuring judgments and court orders by corrupt means. Messers Ebun Sofunde, Kayode Sofola, Kola Awodein, Ademola Akinrele, Osaro Eghobamien, Babatunde Fagbohunlu, and Wemimo Ogunde said it was regrettable that petitions filed by litigants and members of the public linger for years on end without resolution. Mr. Yemi Candido-Johnson, Mr. Olasupo Shasore, Dr. Babatunde Ajibade, Jibrin Okutepa, Mr. Olumide Sofowora, Prof. Ernest Ojukwu, Mr. Olatunde Adejuyigbe, Dr. Adewale Olawoyin, Mr. Adeniyi Adegbonmire, and Mr. Oyesoji Oyeleke, the SANs said the crisis of confidence now shaking the judiciary and the legal profession in Nigeria is unprecedented. *There is a widespread perception that there is corruption in the judiciary and this perception is supported by anecdotal evidence. *Unscrupulous litigants and some complicit lawyers, including some Senior Advocates, procure judgments and orders by corrupt means. *It is also beyond dispute that the system for self-regulation in the judiciary and the legal profession has failed. *Lack of transparency and a deep appreciation of the basic ethos of governance in the processes and procedures of the relevant institutions lay at the very heart of the challenges the Bench and the Bar are currently facing. Citing examples of alleged contradictions in the nation’s Judiciary and the helplessness of the Nigerian Bar Association, the SANs said: “Similarly, the Nigerian Bar Association is notorious for its inefficacy in respect of disciplinary issues. “Petitions filed by litigants and members of the public linger for years on end without resolution. The Nigerian legal profession and justice system have known better days. “We recall the golden era of our judiciary, when judgments of Nigerian courts were cited with approval in foreign courts. Sadly, this is no longer the case. * The composition, constitution, functions and internal controls of the National Judicial Council. * The process for the appointment, continuing education and promotion of judicial officers. * The process for the discipline and regulation of judicial officers. * The terms and conditions of service of judicial officers. * Judicial ethics, values and the relationship of the Bench with the Bar. * The process for the appointment of lawyers to the Body of Benchers. * The composition, constitution and internal controls of the Legal Practitioners Privileges Committee. * The process and criteria for the conferment of the rank of Senior Advocate of Nigeria. * The roles and responsibilities of Senior Advocates of Nigeria as leaders of the Bar. * The regulation and discipline of Legal Practitioners. * Ethics, values and standards of legal practice. * The composition, constitution and internal controls of the National Executive Committee of the Nigerian Bar Association. They said: “The need for action is urgent. We will commence our work immediately, and we will operate on the basis of transparency, objectivity and inclusiveness. “We will soon publish details of how we propose to engage and collaborate with all stakeholders, especially the Nigerian Bar Association.